Russia’s Domestic Politics: Why is the Struggle Growing and What’s Next? Vladimir Putin won his reelection in March 2018 with a convincing margin, but now his regime is facing some the most difficult domestic challenges in the last twenty years. Why is that happening? How will Russian political elite resolve the succession issue? And what are the opportunities for the opposition in this changing environment? Leonid Volkov, chief of staff for Alexei Navalny, Russia’s main opposition leader, will address these questions in a broader context of Russia’s domestic politics and its trends. Leonid Volkov is a politician of the Russia’s Future Party and the chief of staff for Alexei Navalny, Russia’s main opposition leader. He is a former deputy of the Yekaterinburg City Duma and the head of the central election committee of the Russian Opposition Coordination Council. 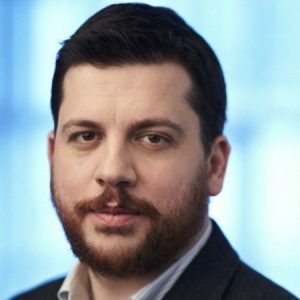 Together with Fyodor Krasheninnikov he published three editions of “The Cloud Democracy”, a book on how technology could reshape and redefine democracy and elections. Leonid is also the founder of the Internet Protection Society, a NGO focused on internet freedom and digital rights in Russia. This event is free and open to the public • Free parking is available after 5 PM at the GEC/McCauley parking deck and Beard surface lot (both on Pharmacy Lane); for more parking options, please see here.